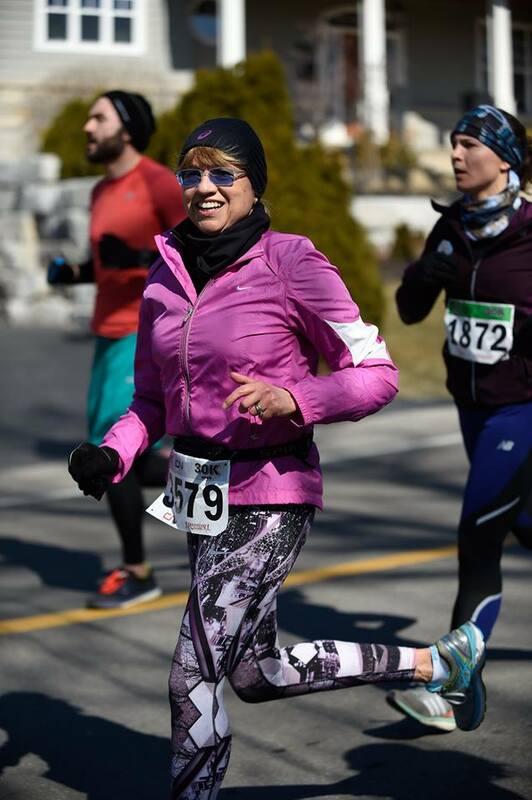 Since January I have been training for the Toronto Marathon (42.2 km run) in May. As part of my training I already ran 557 km in 2018. As part of my training I did a 30 km race yesterday. My finishing time was 2 hours and 46 minutes, and I finished 64 out of 256 women in my age group. It was a tough day because it was cold and it was windy but I pushed to the very end to have a strong finish. Mental toughness training. Last week I spoke to a few runners I train with and I started to realize that none of them had set a goal for this race. They want to get faster but they run their races without a plan or a strategy. This doesn’t work. In the end, all of these runners ran about 45 minutes slower than me, even though they trained with me all winter. Why do so many people don’t have a goal? Fair of failure, fear of success, complacency, laziness, low self-confidence, no idea how to set goals but the main reason probably is that they never take the time to think about it. They live life in the passenger seat and see what the next day will bring. I actually missed my goal in this race by 3 minutes BUT this simply means that I have to train harder to get stronger and faster. It’s not a failure, it is an awesome opportunity to improve. In the end of the day it isn’t about the goal. It is about the person you become in the process (goal-oriented, committed, dedicated, focused, courageous). What does this “running business” have to do with you? Start setting goals (in your personal and professional life) – it will increase your zest for life – character goals, behaviour goals, attitude goals, material goals, athletic goals, health goals, relationship goals, vacation goals, etc. Make an action plan – how will you get started? What’s the plan? As for me, I intend to continue to do the best I can for my family, for my clients, for my health and my well-being. How about we strive together to become the best we can be? If you are a goal-setter, you will become a go-getter.